3629 Westbury Way, Mountain Brook, AL.| MLS# 832174 | Richard Jacks UABLIVING.com 205-910-2297 | Birmingham AL Real Estate | Contact us to request more information about our Homes for Sale in the Birmingham AL area. 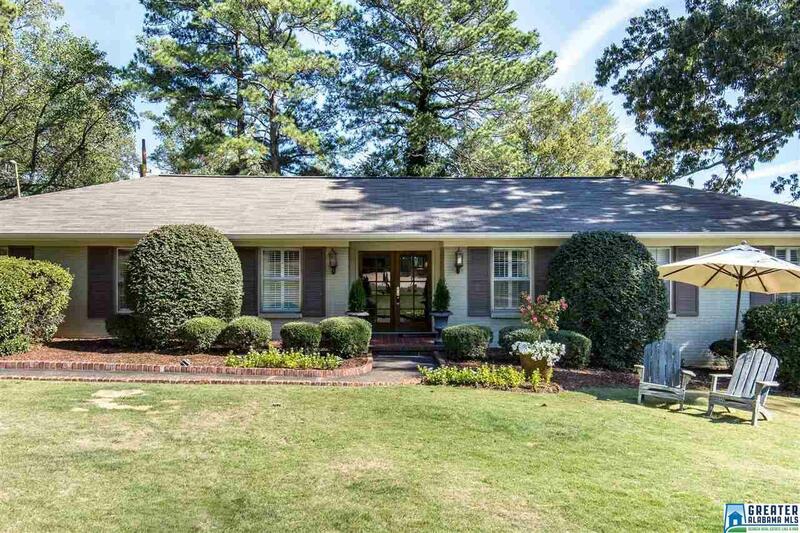 Great curb appeal, one-level living and spacious rooms for entertaining are just a few of the unique features of this lovely Mountain Brook Home! It has three bedrooms and two bathrooms and is located on a beautifully landscaped corner lot in the award-winning Cherokee Bend Elementary School district. The large living room and dining room are perfect for entertaining and holiday gatherings. A huge family room off the kitchen that features a fireplace and a wall of custom built-ins has the space you need for day-to-day. It has a large kitchen with a breakfast nook, a built-in desk, great cabinet space and a glass door to the carport and patio. The extra-nice laundry room off the kitchen boasts a utility sink, lots of extra cabinet space and counter space for folding and sorting. Other special features include an inviting foyer, plantation shutters, spacious bedrooms, large updated baths, a gardening shed and storage/walk-in partial basemen. Everyone will love the layout of this home.